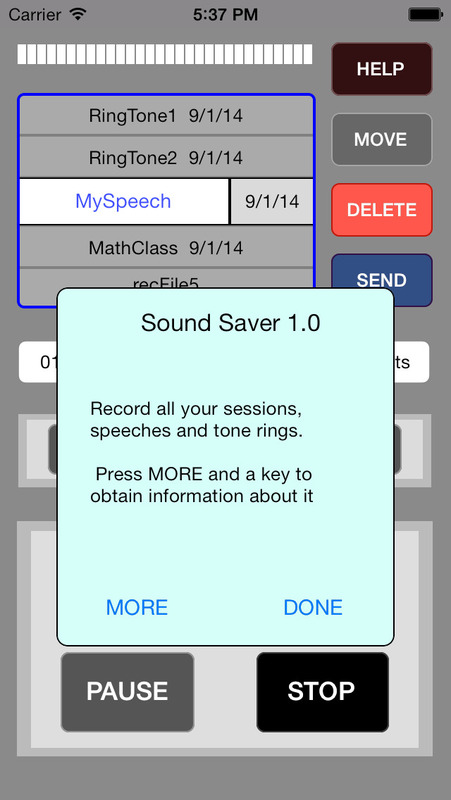 Record all of your Sessions, Speeches, Classes and Tone Rings on your iPhone, iPod touch or iPad, using the internal or a external microphone. 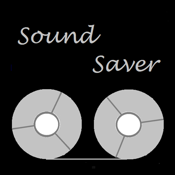 You can select the compression (PCM=none, ALAC=lossLess compression, or AAC=high quality compression), the sampling rate (44KHz for music, or 8KHz for voice), and the number of bits in each sample (16bits for CD quality, 24 bits for professional quality). 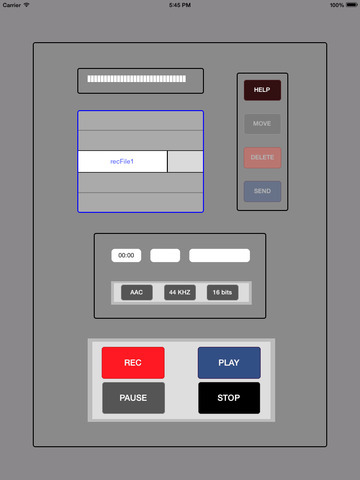 While recording you can monitor the recording level, time and space used. After recording, you can make a play list to hear the songs, or send them to your computer by email.